Trump Denies CIA Report Blaming Prince For Murder - Joe.My.God. 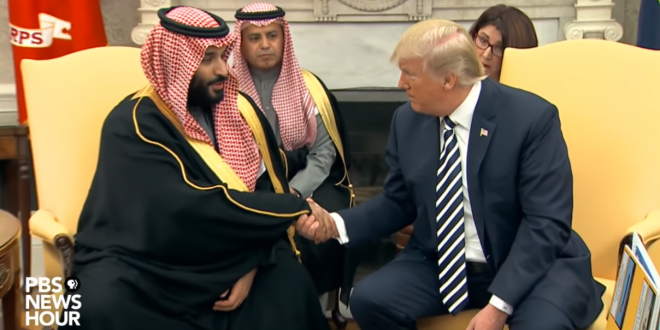 The president had previously declined to confirm or deny reports that the CIA had concluded the crown prince ordered Khashoggi’s assassination. When asked who should be blamed instead, Trump said “maybe the world” because it’s a “vicious, vicious place,” and referenced oil prices as a reason not to punish Saudi Arabia further, according to pool reports.